In a recent training we discussed Team Drive. Here are the resources. Using Kahoot I was able to create the game. Game Based Learning is an important tool that can be used to teach an important subject as opposed to using it for review. 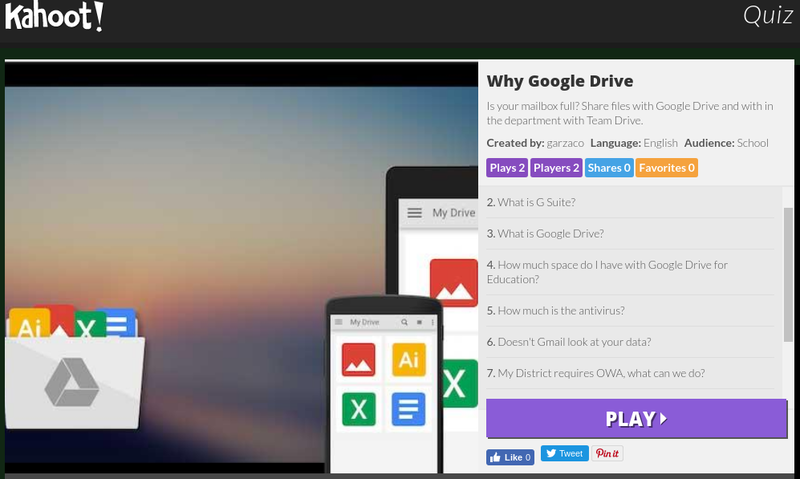 Here is the video explaining Google Drive and Team Drive. Here are my notes that I used to create this training.